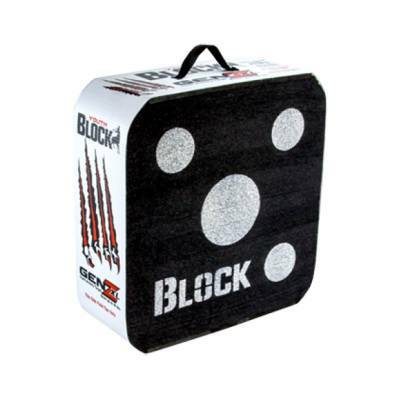 Field Logic Block GenZ XL Youth Archery Target. Specifically designed for younger archers with bows of 40 lbs of draw weight or less. High contrast white-on-black aiming points offer great visibility. Open-layer design allows for easy removal of arrows while maintaining it's original density. 22" x 20" x 8". Note: This item sold in store only and is not shippable.